Tel Aviv will host the 2019 Eurovision song contest, the European Broadcasting Union (EBU), which organizes the annual event, announced Thursday. EBU and Israel’s national broadcaster Kan selected Tel Aviv, considered the business and cultural capital of Israel, after the city agreed to bear the venue costs for the competition’s three-night event—two semi-finals and the finals which are broadcasted live to viewers around the world. Tel Aviv will also host several other Eurovision-related events throughout the city in the days leading up to the competition. Tel Aviv expects a turnout of about 20,000 tourists and NIS 100 million (approximately $28 million) in direct revenues resulting from the events, the city said in a statement Thursday. The Eurovision includes representatives from several dozen countries contending over the public vote and the right to host the event in the following year. 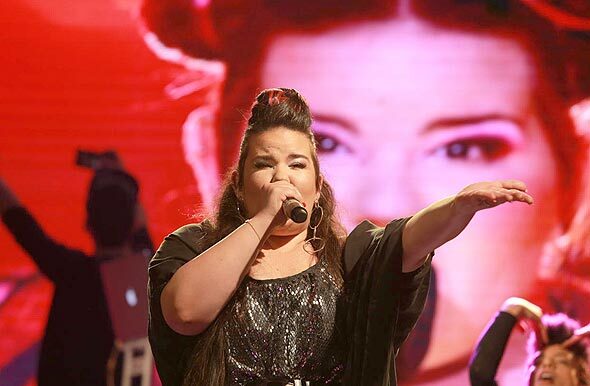 In May, Netta Barzilai was the fourth Israeli to take home the trophy at the international song contest held in Lisbon. Israel has won the Eurovision four times to date and 2019 will be its third time as host. In both 1979 and 1999, the Eurovision took place in Jerusalem following an Israeli win. In June, Israel’s Minister of Culture Miri Regev said in a radio interview that Israel should forgo its hosting rights if the Eurovision is not held in Jerusalem sparking a debate which caused Prime Minister Benjamin Netanyahu to intervene and declare the event can take place elsewhere in the country. Also in June, following pressure from Palestinian officials and pro-Palestinian organizations, Argentina’s national soccer team canceled a pre-World Cup friendly match against Israel after Regev had the game moved from the northern port city of Haifa to Jerusalem.